I invite you to join me this Winter Solstice on Friday, December 21 for a benefit for my dear colleague and wonderful friend Woody. I am dedicating this day of my private practice as a fundraiser for the reconstruction of Woody and his wife Jo’s home. As some of you know, Woody was injured this past October in a hit-and-run accident that left him paralyzed from the waist down. In true Woody fashion, he is rising like a phoenix from this experience, and his indomitable spirit shines even a little more brightly, somehow! He is an incredible inspiration to me. Woody’s wide network of friends and family are coming together in myriad ways to support him and Jo through this challenging time of transition. As part of those efforts, I will be offering acupuncture, craniosacral therapy and massage therapy sessions by donation, with all proceeds going toward the reconfiguration of their home, including the installation of lifts and ramps to accommodate his new wheels. Sessions will take place in my Manhattan office location on West 29th Street, between 7th and 8th Avenues, from 10:00am to 8:00pm. Suggested donation is $120 per hour of reserved time. If you would like to schedule a session, please email or call to arrange a time. Feel free to forward this note to anyone who might be interested. Many thanks, and I hope to see you on this day of light within dark! Schedule and appointment online or call at 347-743-5676. 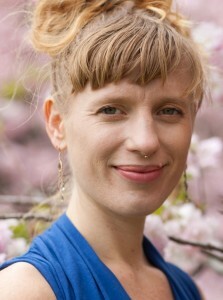 Carrie sees patients in Brooklyn and Manhattan for acupuncture, massage therapy, and biodynamic craniosacral therapy. Carrie Cegelis, MS, LAc, LMT, BCST is a natural health practitioner with a private practice in New York City. Her work integrates acupuncture, biodynamic craniosacral therapy, massage therapy, herbs, nutritional guidance and lifestyle education for the cultivation of wellness, treatment of disharmony, and prevention of disease in her clients.